Just when you think you are out, they drag you back in to watch. Seton Hall’s scoring came from Desi Rodriguez. Rodriguez did not have a point until 7:09 left in the 1st half. He proceeded to hit 3 3-pointers to end the first half. In the 2nd half, he then went on a tear, with mostly Tre’Darius McCallum and Max Strus guarding him finishing with 33 points on the game. The hope for this game (kiddos, we all have hopes and dreams) is that the Demons could control the boards and create some foul shots. The Hall out rebounded the Demons 48-31. If you can believe it, the rebound margin was even bigger than the first time around. In the first meeting, the Pirates out-rebounded DePaul by 10, this time by 17. Every timeout, Dave Leitao was harping on boxing out and rebounding, and this is how his players rewarded him. You know how this writer occasionally brings up ‘Bad Luck’, this is an example of bad luck. The Jersey Boys went 19-27 from the free-throw line for 70.4% (usually shoot 67.7% from the line), compared to DePaul’s 12-22 for 54.5% (usually shoot 73%). Inexplicable. Eli Cain and Max Strus both had subpar shooting nights, which is usually a terrible sign for the Demons. Cain shot 16.6% from the field! Sweet! Marin Maric, McCallum, and Paul Reed were dominated by Delgado on the defensive end. Maric and McCallum both had solid offensive games. Justin Roberts who has been wildly inconsistent this year, was great today. He saw 23 minutes. He went 4-8 with 1 free throws, 3 assists and NO Turnovers; none! In the 1st half, Seton Hall had almost as many offensive rebounds (11) as DePaul had defensive rebounds (13). As anyone who has played the game knows, rebounding is about body positioning, desire, and a little bit of luck. The Demons we failing on both body positioning and desire. Here is a classic example in the 1st half. Maric doesn’t even have someone to block out. Seton Hall has one guy on the block. What are you doing McCallum? Would it kill you to put your body into him? Seriously. As many have said this year, DePaul does not do the little things that win games. 2 gift points here, and 2 gift points there change games and seasons. Here is another example of the little things. Paul Reed, who had a regression game today, broke a Cardinal rule of defense, never give baseline. If he cuts off the baseline, both Maric or Strus could properly help on the drive. It is the little things guys. McCallum was awful on the defensive end during this game. He consistently lost his man in traffic due to ball watching. I thought about stringing together a bunch of clips that showed him out of position, but I decided I had better things to do with my life. Tre, do us all a favor, and put as much effort into the defensive end as you do on the offensive end, which he was awesome at today. Here is another great play in the game. Maric gets an offensive rebound, and passes to Strus for an And-1, but as has been a recurring issue this year, Strus makes it an And-0. DePaul missed 10 free throws, shooting 54.5% from the line. Awful. Now that I just killed McCallum about his defense, let’s see him do a rare, spectacular defensive play. The pattern of the second half was Seton Hall would get ahead by 6 or 8, and then DePaul would narrow it to 4 or 6. So let’s go to the last 4+ minutes of the game. Maric takes on Delgado and scores. After trading a 2 point shot for a free-throw, a key defensive possession occurs for DePaul. The Hall works the ball into Delgado, who clearly moves his pivot foot before shooting, which is the definition of a travel. No call of course, because Delgado gets serious star treatment (you would not be surprised by the number of over the backs he gets away with), and what happens? Seton Hall gets, yet another, offensive rebound passes to Rodriguez who does not miss. With just under a minute left, with DePaul down by 6 and pressing, Cyrus makes a phenomenal steal and Robert makes a layup to get the Demons within 4. Seton Hall makes 2 free throws to put them up by 5. Strus hits a pressure 3 to get the DePaul within 2. Strus fouls out. The Pirates make 1 of 2 free throws which gives the Demons a chance to tie. As has been mentioned, Cain was Bad Cain tonight, meaning he was not making his shots. Multiple times in the game he got to the rack and had extremely makeable shots and missed point blank. He was clearly frustrated by his lack of makes. On this critical possession, frustrated Cain decides to try to get 2 by himself, again. This is exactly what happened at the ends of Xavier and Northwestern, both games in which Cain’s shooting was awful. You would think he would recognize that someone else should take the shot. As he drives to the lane, Roberts is wide open up top, and Maric sneaks to the corner. Both of these guys had been having successful shooting nights. Roberts was 4-8 and Maric was 10-12 with 2 3-ponters. Cain misses, as he usually does when he is in a shooting slump, and Seton Hall rebounds, and DePaul loses. Insanity. As I predicted in the preview, 10 points was too much to give to the Demons. DePaul beat the spread and the over hit. Desi Rodriguez killed the Demons in the 2nd half. After going for 9 in the 1st all on 3’s, he went for 24 in the 2nd half mostly on 2’s. He was backing down McCallum, Strus or another guard and making turn around lefty shots. He also went 5-5 from the free-throw line. Maric shot incredibly well, going 10-12 with 2 3 pointers for 23 points. 8 rebounds and 2 assists. He caused Delgado issues on the defensive side. He was the main difference between the 2 games. 145 offensive rating. 15 points on 6-11 shooting and 1 assist. 130 offensive rating. Eli Cain’s shooting regressed back to his 2018 mean. After 3 excellent games of being Good Eli, he reverted back to Bad Eli from the field. Cain’s ball handling was great today, with a 5 assist to 1 turnover performance, but when you shoot 16.6% from the field (0% from the arc), your team is going to lose. High volume shooting, who did not shoot exceptionally well today. 5-13 from the field with 3 turnovers along with an awful 3-7 from the free throw line. It was awful. Desi Rodriguez killed the Demons and for much of the afternoon, he was Tre’s man. McCallum was ball watching, while his guys were moving without the ball. He would get to the shot way after the shot was already on its way up. This dude had 2 rebounds the whole night. His counterpart had 4 offensive rebound by himself. Absolutely unforgivable. He did have 3 steals, but his ghost defense killed the Demons. It could be argued that his defense was so bad that it outweighed his offensive contributions. Chairman of the Paul Reed fan club was dismayed to see that Reed had a sub par outing. In 9 minutes of action, he had 3 turnovers and 4 fouls. Somehow, this long limbed, rebounding machine only got his hands on 1 rebound. He suffered from Delgado’s star treatment as he picked up a couple of 50/50 fouls. Additionally, he was a little lackadaisical with the ball at the top of the key with Delgado guarding him. Delgado noticed and reached knocking the ball out of his hands which ended another possession. Not sure why Butz wasn’t playing. This is cryptic. There were a few, but I am going to go the last play again. The situation was this, if DePaul gets the game to overtime, they would be in exceptional shape. Seton Hall’s point guard, Khadeen Carrington, had fouled out. His man backup was Freshman, Jordan Walker. In limited playing time, Walker had given up 2 turnovers and missed 3 out of 4 free throws. The pressure was on him, and his mistakes helped let the Demons back in the game. The Demons would have had to due without Strus, but Maric, McCallum, and Roberts would be more than enough offense to get them across the line. Now, why again did Eli take a 2 point shot when nothing was dropping for him and the Demons needed 3, and he had both Roberts and Maric open? Let’s hate watch it again. I do not have a problem with anything that Dave Leitao did today. He made logical moves, including putting in a small lineup that Seton Hall did not have an answer to. He reminded his players to block out, maybe a thousand times, and he did bench them at times. But due to foul trouble and limited options, he had to stick with certain lackadaisical defensive players in key moments. He had to burn timeouts to stop runs. This happens. Dave is not shooting free throws. Dave is not rebounding. He had a good game plan, and the Demons failed him on 2 fundamental parts of the game. Jack! Jack? Jack. is ready to Rant! Can I call in to the show today? 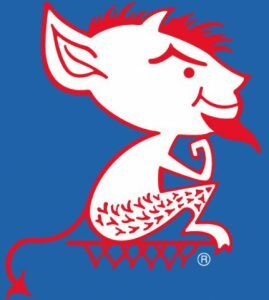 I have about a good 45 min rant on DePaul basketball (I can pause for commercial breaks). This loss officially puts us in last place in the #BigEast conference. And Finally, The Dumpster fire is back!